With the Indian Government striving to promote tourism in India with the Incredible India campaign, the Ministry has launched the Tripgator app. 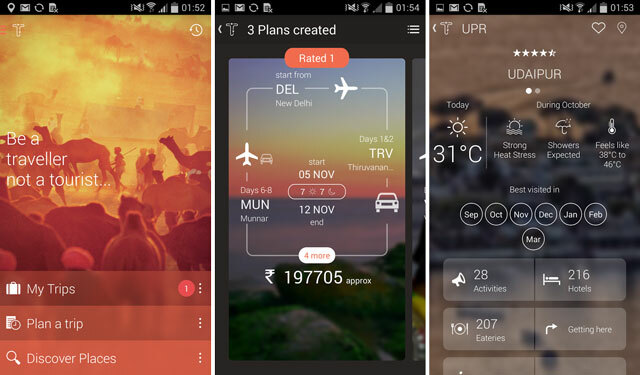 The Indian Ministry of Tourism has launched the Tripgator app for Android, which is the Governments official application for Incredible India’s unique tour planning and destination discovery platform. The app is currently exclusive to the Android platform but is expected to be released on iOS and Windows Phone platforms. The Tripgator app for Android can be used by a traveller from India or abroad to visit the popular destinations in India. The app can be used to make holiday plans with a detailed itinerary. The user can also collaborate with other travel companions. Users can also discover other destinations based on interests, region and season. The app is available for free and can be downloaded from the Google Play store.